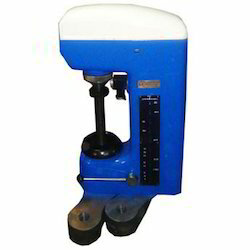 Pioneers in the industry, we offer vicker hardness tester from India. Owing to the rich industrial experience and expertise in this business we are instrumental in presenting Vicker Hardness Tester. This Vicker Hardness Tester is designed precisely by using modern techniques and latest machines. Our product range can be used for all metals and considered as a most efficient and precise scale in hardness testing.